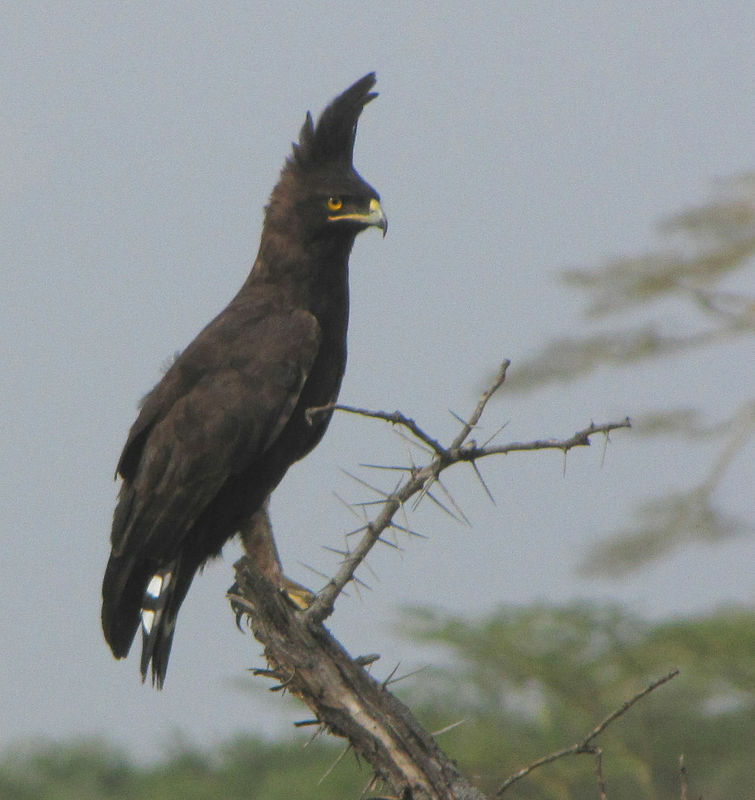 The long-crested eagle (Lophaetus occipitalis) is a bird of prey. Like all eagles, it is in the family Accipitridae. It is currently placed in a monotypic genus Lophaetus. A relatively small eagle (about 55 cm), found in Africa south of the Sahara, except in the arid zones. In southern Africa it is a fairly common resident in the eastern areas. It inhabits woodlands, exotic plantations, forest edges and mainly lives off rodents and shrews.